I’ve never been one to get stuck in with DIY, but when I became pregnant with my first child, I felt impelled to decorate the house. Despite my growing bump I was on my knees scrubbing skirting boards and climbing ladders to roller paint the ceiling. With my second pregnancy too, I couldn’t stop tidying (not my usual state) until the house was pristine. 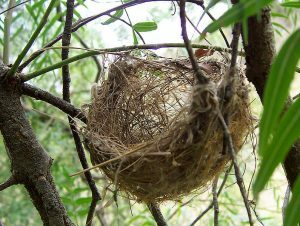 Several friends told me knowingly that I was “nesting”, but I was sceptical – I figured nesting is just a woolly phenomenon that has been made up by the media. It looks like I was wrong – psychologists are now reporting evidence that pregnant women really do have a measurable urge to organise and renovate their homes (but surprisingly, not to clean). There’s plenty of evidence for nesting in other mammals, including mice, sows and rabbits. Nesting is a strong biological drive that motivates pregnant females prepare a safe place for themselves and their offspring in the exceedingly vulnerable period during and shortly after birth. 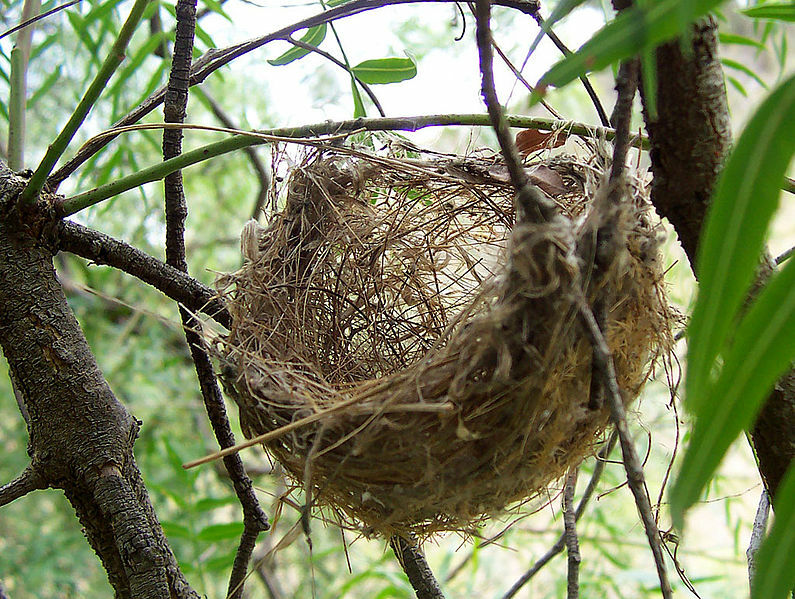 Some species literally build a nest, while others carefully select a birth site. Mothers-to-be – including some monkeys and apes – may also isolate themselves or become more selective about which other individuals they allow around. Despite plenty of accounts in the popular media, however, there’s little scientific research into nesting when it comes to pregnant women. But now psychologists Marla Anderson and Mel Rutherford from McMaster University in Ontario, Canada, say they have found evidence that women really do change their behavior during pregnancy. Their results are published in the journal Evolution and Human Behaviour. Anderson and Rutherford developed an online questionnaire to look for nesting behaviours, which was completed by several hundred pregnant and non-pregnant women (who didn’t know what the study was about). The researchers also followed the behaviour of 20 women throughout their pregnancies and compared the results to those for 19 non-pregnant women. In both parts of the study, the pregnant women were significantly more likely than non-pregnant women to report behaviours that could be described as nesting. These increased throughout pregnancy and peaked during the third trimester. They included what the researchers call “space preparation behaviours” such as home renovations, energy bursts (despite feeling more tired overall), and purging and sorting household items. Heavily pregnant women also showed a stronger preference for familiar places and people over unfamiliar ones. Surprisingly, these nesting behaviours didn’t include cleaning, or efforts to improve hygiene. Instead, mothers-to-be prioritised getting their homes organised. Media accounts of nesting often describe obsessive cleaning, for example this article on parents.com describes nesting as an “…overwhelming urge to clean and organize your home…turning even the most laid-back housekeeper into a mop-wielding maniac”. The researchers conclude from this that the nesting behaviours they detected in the study aren’t driven by cultural expectations or stereotypes, but reflect a more fundamental biological drive. They suggest that future studies could look at whether women with a strong urge to nest are more likely to choose home births, and whether allowing women more control over the birthing environment might help to reduce anxiety during childbirth.